2016 was such a crazy year! Along with huge political events like Brexit etc, (which still needs to get out asap) it was also a really big year for me. The first 8 months was in Japan- I blogged all about it and you can find more on my adventures in the Japan tag. (I'm still blogging about it because I got a little behind... whoops.). Then once I was back in the UK, I've had a bit more chill time, getting back into the routine of *actually studying* things like history and international relations along with Japanese. It's been a bit weird, and I definitely miss Japan and had a healthy dose of reverse culture shock, but I think I'm settled back in now. I blogged about my 2016 new years resolutions last December, so I thought I'd take a look back at whether or not I achieved them. In my hair update post a few days ago, I told y'all how yellow my roots had gone, and that I was going pink for a little bit to hide the contrast... Well, I really liked the pink on me, but I wanted to have silver hair for the Christmas party I had the other week. 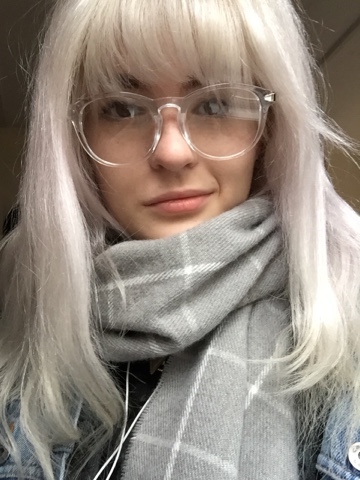 I don't usually use silver toners in my hair- I just leave in my regular silver shampoo (Bleach London) in my hair for a few more minutes when I want to get it more silvery. 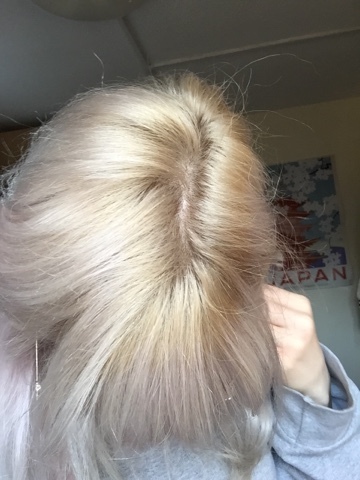 But this time my roots were quite yellow, so I decided to try out some toners.I thought I'd do a mini review on the two different toners I used: Wella's T18 and Colour Freedom's white blonde toner. I know it's not entirely fair to compare these two products- they are completely different- one is professional and permanent, and the other is non permanent and designed for use at home. Still, I thought that reviewing them might be useful, so here goes! This toner is the one I bought first, as it's easily available from Superdrug. It's non permanent, smells pretty nice and is really moisturising. It made my hair feel absolutely amazing. At £7 for 150ml, it's easily the cheaper option too. You don't need a developer and I got two uses out of it. 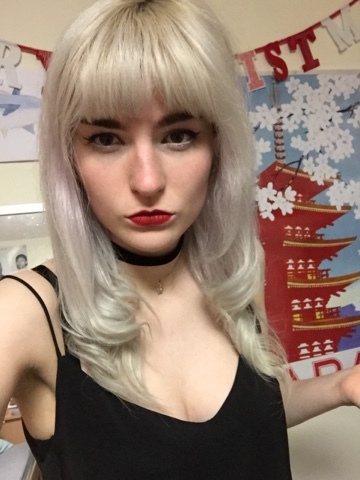 However, although it toned the lengths of my hair fairly well, it wasn't that good at at tackling the dark yellow patches in my roots, even when I used clarifying shampoo beforehand and left it on for the full 30 minutes. I'd advise using this only on really pale blonde hair. And this was what my hair looked like after I'd toned it. 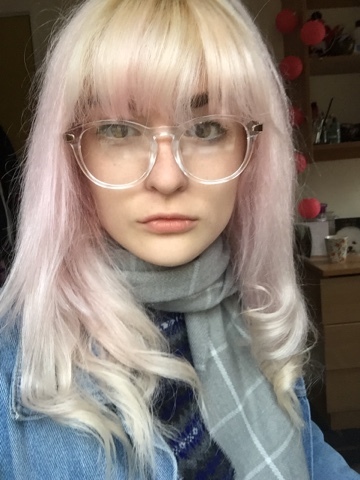 Most of my hair was this lovely silvery lilac colour, but some of the roots were just too dark yellow to take to even the Wella toner. So honestly, a cheaper way to get my roots looking better might have been to just wait it out and keep shampooing my hair with silver shampoo. 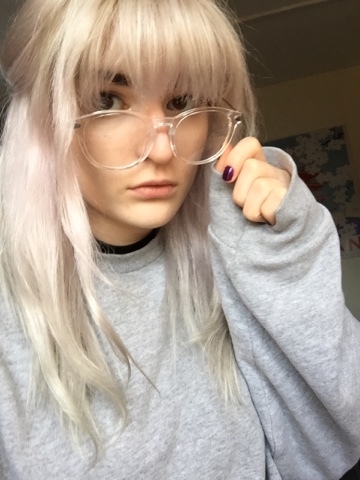 Next time I bleach my roots, I'm going to make sure I get them light enough first, and then I want to try Colour Freedom's permanent silver toner, or Bleach London's white toner. Also Schwarzkopf's Blond Me has some products which bleach and tone your hair at the same time, which sounds pretty good. 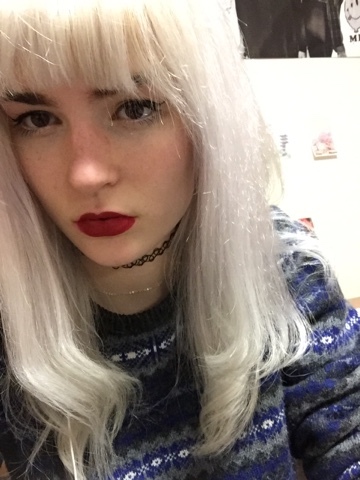 Do you guys have any silver toner product recommendations? On the way from Tofukuji to Unryuu-in, I found an abandoned Inari Shrine. I was walking along a path on the outskirts of Kyoto, and I saw a Torii in the middle of overgrown trees. When I got to the other side, there was an entrance with a sign on the Torii saying 倒壊する危険あり 通行注意 -(danger of collapse, be careful when passing through). It didn't say 立ち入り禁止 (do not enter) though, so I went in and had a look around. It was definitely worth going in! Travelling and exploring places on your own is nerve wracking, but it can be so cool. You can go to wherever you like without anyone complaining, and sometimes you get to experience things that you wouldn't have got the chance to otherwise. There were so many places in Kyoto that I was desperate to explore, so one hot summer Saturday in June I took myself off exploring. First up on my agenda was Tofukuji. It's famous for it's autumn leaves, but there's a tonne to do in any season~ Like Toji, I think Tofukuji is a little less well known among international tourists, and certainly it was less busy than super famous places like Fushimi Inari Taisha, Kinkakuji or Kiyomizudera.